What’s up @Mark_MSX. I just got through reading your post on electricunderground and I like some of the points you make about dev guides. It took me several days to figure out how to score points in crimzon. I actually ended up using a super play guide. I posted it this week on this thread. Feel free to check it out. Thanks for all you and MetalFRO and Addicted have done for shmup podcasts. I really enjoy them. What's up my dudes? :-D Just got my 2-All in ZeroRanger and I'm ready to play some Crimson Clover! I'll play both novice and arcade, as those seem like the two most popular modes. This should be a ton of fun! 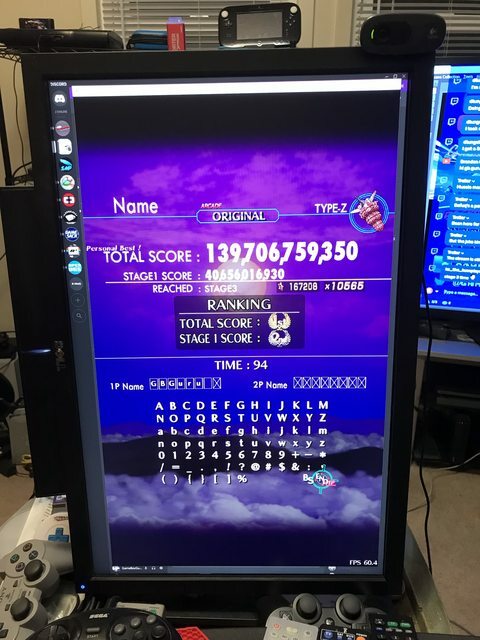 I managed to clear Novice/Original with 328+ billion points! Not the best high score, and I was down to my last life, but I still managed to pull it off. Very pleased with the result, all the same! Wow! Great job, congrats on that! I played Zero Ranger a few weeks ago in Jan/Feb, but 1-4 was as far as i could get. I credit-feeded the rest of the game to see as much as possible and it has a lot to offer to the player. I didn't get the true ending, because i failed at the hidden final mission (or whatever you wanna call it) and had to start all over. I think it's pretty tough, but it's a brilliant game and can be really rewarding (and surprising) too. I also wanna pick up coin tengokus words. I just listened to the Ketsui DeathTiny Episode of your podcast and really liked it, i'll listen to some other episodes soon. It's always informative for me as a newer player to listen to STG-themed podcasts and learn about tricks and strategies. You guys (including MetalFro and Addicted) are doing an awesome job with this! As i said i uploaded a replay of my yesterdays run, if someone wants to watch. Hey guys new tip I learned from watching some videos. If you have the type Z ship you can put a type 1 skin on it by holding the break button while selecting the Z ship. @zoydo - One thing I would say is to remind you that your ship will attract stars while you have the lock-on button held down. I noticed during this last run you posted (awesome job, by the way! ), that there were a lot of instances where you had the lock-on disengaged, and were mowing down enemies with the wide shot, but were letting a lot of stars pass you by. If you occasionally trigger the lock-on for a brief moment, you can take in more stars, and just engage that every so often, so you're not losing as many of them. I got to watch your stream from 17 hours ago and started laughing so hard when you said “man...IIINnntense”. Congrats on the clear bro!! I’m pretty happy so far. I think I’ve really got a good grasp on scoring system. Just need some tweaking. I have learned that you need to break then lock onto at least a large amount of popcorn, destroy those and then score points. Then lock onto more...destroy and double break and keep that multiplier counter going. 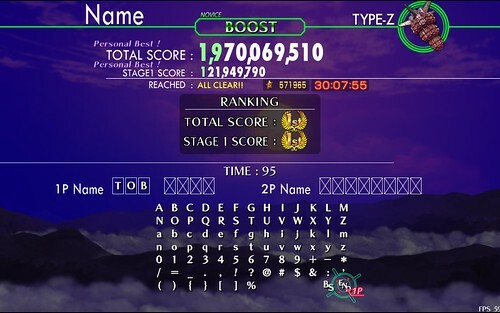 Some runs I have seen show that you can get over 100 billion in the first level in novice mode if you strategize the breaks. Level three is where it gets tough as nails for me. But here is where I’m at. But i tried working on that and also on optimising my scoring a little bit. 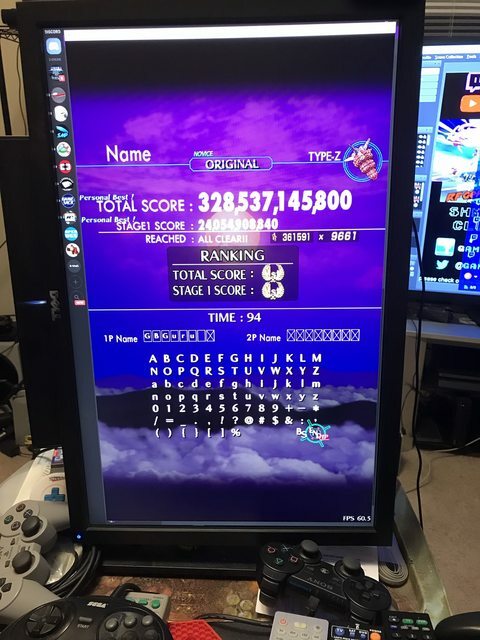 I finally beat my Arcade/Original score yesterday. I didn't beat the Stage 3 Boss, like last time, but i could improve my scoring a little bit. 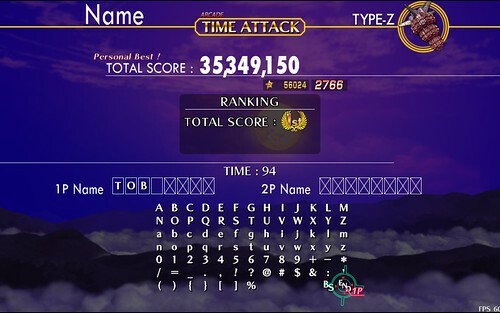 I also played some Time Attack yesterday, did beat my former scores and got a B-Rank. On friday i played some Boost and could beat both my Novice and Arcade scores. Whoah! Congrats @zoydo. Your putting up some tough scores bro. Crimzon Clover made the top 5 best shmup list of all time...here is the posted final results of that poll from shmups.system11 forums. @coin_tengoku: thanks! You're doing some good progress too! I really like how you and MetalFRO got into learning the scoring mechanics from the very beginning. Maybe i was focusing a little too much on surviving and on playing all the modes with all of the ships. I came across the list too and was glad too see Zero Ranger on it already! CC's spot on top of this list is also well-deserved. I'd consider it as one of my Top 5 stg's i played, as well (maybe even Top 3). I saw that about CC in the top 5. I'm a little conflicted about that. I feel like it's a bit too new of a game to hold that spot, but at the same time, it's been out for 8 years, so it may well have earned its spot. I'm really enjoying the game, but I'm not familiar enough with the other top 5 entries to be as objective about it. Having said that, it's quite an achievement, and something we'll definitely need to bring up on the podcast. I'd really like to see the end of Stage 3, though I'm a little afraid of what the boss is going to throw at me. 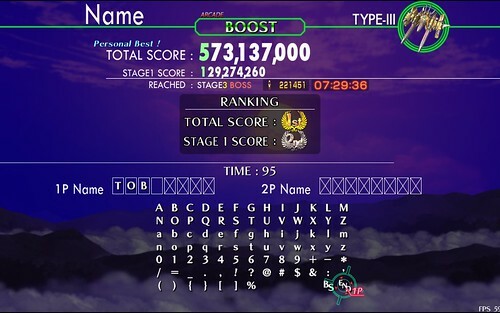 I struggled the most with the Stage 3 boss in Novice, so I'm not sure what awaits me when I finally get there in Arcade. @MetalFro: nice, congrats for passing the 100,000,000,000 pts.! I feel al little bit stuck at the moment. I couldn't beat the Stage 3 - Boss for a few days now. Yesterday i was really close, but failed again. At least i did some slight progress with my scoring. 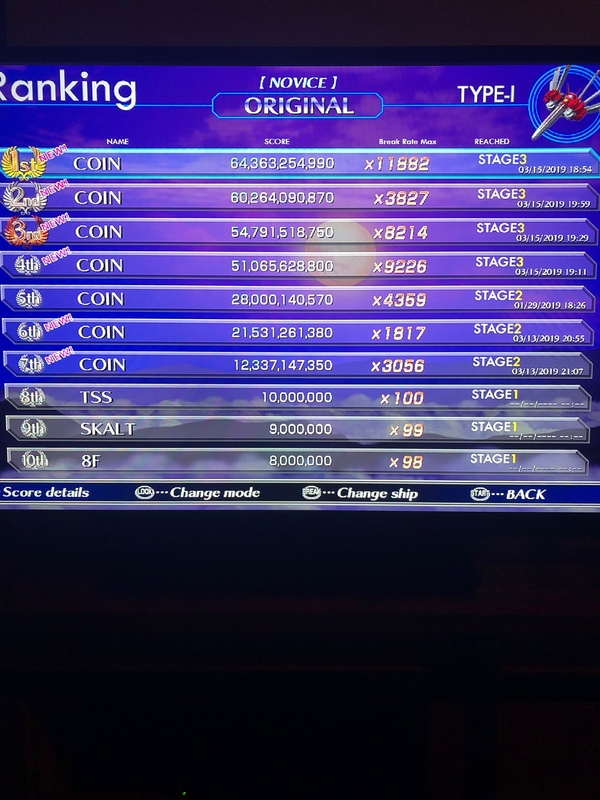 Here's my Arcade Original Score, barely got through the 3rd boss. That fight is brutal.